It's getting frosty in San Francisco these past couple of weeks, but here at sea level, we rarely get to see much snow. 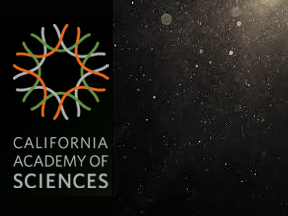 The California Academy of Sciences has a new exhibit that let's us get a little taste of snow in Golden Gate Park. The other day, while reading the Chronicle, Lilli spotted a story about Toshiro Chiang's computer-controlled artificial snow machines at California Academy of Sciences. Having originally met Tosh at the first Expo '74, and having seen some of his Max-driven exhibition controls before, I got in touch with him to see what was behind it all. Max of course! It's max/msp & some unix, all running on a Mac mini. The original program was written 4 years ago. Back then, we needed to tie together a showcontroller and DMX lightboard asap. This economical solution enabled us to quickly and cleanly solve every problem, with tools that we already had on site. The patch supports DMX cues and low-voltage digital i/o. There are diagnostic indicators for system health as well as feedback. The computer itself lives in a 1RU rackspace, alongside a 1RU KVM, an ipad-driven mixingboard and some Crown amplifiers. There is even a large industrial push-button, which when enabled with an inline switch-guarded toggle (imagine that red hooded-toggle for fighter pilots enabling weapons in the movies), allows people to have it snow on demand. This feature is no longer used, but can still be supported. There was originally a stage as well, with some par cam lights and Martin MiniMAC controllable spotlights (with full color + gobos + and pan/tilt/zoom motion!!). This is why the patch needed to support live DMX mixing and cues. There were daytime cues, night cues, special event cues, etc. This feature is also no longer utilized. Lastly, the computer is the same one which drove our former Piazza Dancing Fountain, in which it tied a schedule to midi triggers, synchronizing the solenoid valves of 16 laminar jets and 6 leap jets to things like Electrolane, Peggy Lee & Ratatat. When we want to switch cpu configurations between fountain and snow, we just open a different patch!